Folashade is a practicing Barrister and Solicitor of the Federal Republic of Nigeria, and a Fellow of the Chartered Institute of Arbitrators UK, Nigeria Branch. Folashade is the legal representative for MRL Public Sector Consultants (Ltd). She is heading the team of lawyers that will be comprehensively reviewing the Niger State Laws and Policies on Primary and Secondary School system of education as part of the TENs programme. She is an active member of the Nigerian Bar Association (Section on Legal Practice), a member of the International Bar Association, member of the Intellectual Property Law Association, member of the Women International Shipping and Trading Association (WISTA), member of the Maritime Arbitrators Association, and a Fellow of the Institute of Chartered Arbitrators of the Federal Republic of Nigeria, and the United Kingdom. Folashade Alli is also an approved Mediator with the Lagos State Multidoor Court House, Lagos Nigeria. Mrs. Folashade Alli is a registered Notary Public of the Federal Republic of Nigeria, an Approved Tutor of the Chartered Institute of Arbitrators. 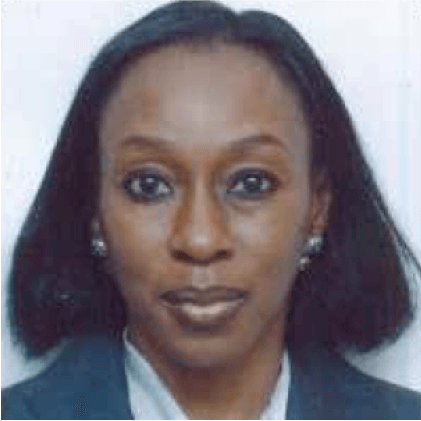 She is on the Board of Governors of Daywaterman College Abeokuta, Ogun State, a council member of Afe Babalola University, Ado-Ekiti, and a Director in Bonas Macfarlane Nigeria Limited.